The purpose of this website is to bring together most of what I’ve written since my mid-twenties. I love, love, love writing, but I’ve only had a few opportunities to concentrate on it exclusively. It’s always had to compete with teaching, advocacy campaigns or changing diapers. The result, you’ll see, is that my output is low but deliberate. It is usually grounded in personal experience and backed by a lot of reading. Please look around. Most of what is here so far deals with politics, which is a very significant part of my life. 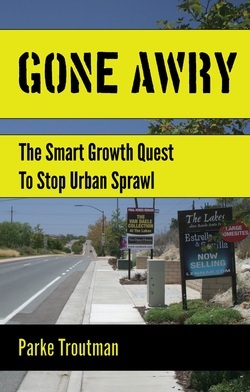 The most important of my writings to date has been my book on city planning, Gone Awry, which was released in early 2015.